Wondering if you need to leave your job?… keep reading and we’ll give you the answer you need. There are plenty of articles out there are on how to spot a toxic work environment, a horrible boss, or that you have outgrown your current job. 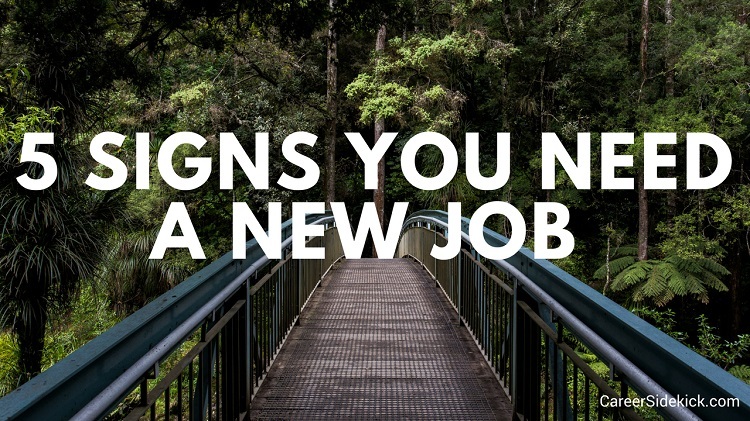 But what are the personal signs that you need to be real with yourself and actually start searching for that next new job? If you’re experiencing any of the below, you need a change. If you’re asking yourself, “should I leave my job?”, these are the most important factors. Because the end of the day, nothing is more important than your health, stress levels and happiness. While this is the same criteria the vet recommended when deciding to euthanize my childhood dog, it’s a good gauge and can be used as an indicator of when to move on to a new place. Believe me, we all have bad days. But once you have more bad days than good days, you need to start looking. A (vast) majority of your time at work should be enjoyable or at the very least tolerable. So which surprises you?… a bad day or a good one? Everyone has a few bad days at work but if that’s what you’ve come to expect, and you’re surprised by a good one, you should leave your job. You should “Work to live, not live to work.” While you should invest in your work and enjoy your career (I hope that you truly do; I love mine), your job should not consume your life. Instead, your job should only take up about a quarter of your time. Since there are 168 hours in the week, if you are using more than a quarter of them (about 40 hours) to work, you are not spending enough time enjoying life. If you plan your day right, 40 hours should be enough time to get your job done. You should be able to leave work at work, allowing you to turn off your phone, log out of email and be present when home. Unless you’re an ER surgeon (or some other on-call professional that truly requires you to be available after hours), you shouldn’t regularly be getting called/emailed/texted outside of your regular work hours unless it’s an absolute emergency. And while there may be the occasional work emergency that intrudes into your personal life, these emergencies should be far and few between. If you are constantly getting contacted by work after hours, or are bringing work home regularly, you need to learn how to set better boundaries. And if it’s not possible to do that with your current employer, you should leave that job. Some employers have unrealistic expectations or ridiculous policies that kill your health – both mentally and physically. It’s not worth it and it’s definitely a good reason to leave your job and find a better one. I had a job that kept me awake for hours at night. I was miserable not only because of the job itself, but also due to the lack of sleep. And this started the second week of working at this place (big red flag!). Thankfully, I was able to get out of there in less than two months and now have a job I absolutely love. But if your job keeps you up at night (unless you work a night shift of course), it’s a sign that you need to start searching for a new job that won’t interfere with your ability to sleep and rest. We all have days where we just don’t want to go into work. Some days we just want to quit and never come back. This can happen from job-related stress, but also if the work you are doing isn’t interesting or fulfilling. We may even type up a draft resignation letter (I did this for the job that kept me awake at night; it was therapeutic). But if you regularly think about ditching your current gig and it’s been going on for months, that’s a clear sign you need to create an exit plan and start taking action instead of fantasizing about quitting your job. Trust your gut, update your LinkedIn and go for it! Make it your aim to find a job where you will feel more relaxed, enjoy the work, and be able to utilise your strengths. You’ll feel happier (and healthier) in the long-term if you do this. Be real with yourself. Are you experiencing any of these? If so, you need to start searching for a new job. Related reading: The best answers for explaining why you left your last job in an interview. Kyle Elliott is a well-caffeinated career coach and freelance marketer, writer & editor who has helped more than 300 clients to date. 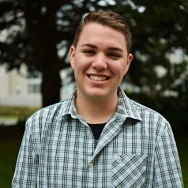 He has a knack for branding and marketing, love for resumes and LinkedIn, and healthy obsession for details and coffee. Email Kyle at Kyle.Cromer.E@gmail.com and mention this article for $15 off your first hour of Interview Prep or Career Coaching. Or learn more about Kyle’s consulting work (and his Starbucks addiction) at CaffeinatedKyle.com.